Venerable financial software Quicken is ready to help you with all of your newest accounting needs. 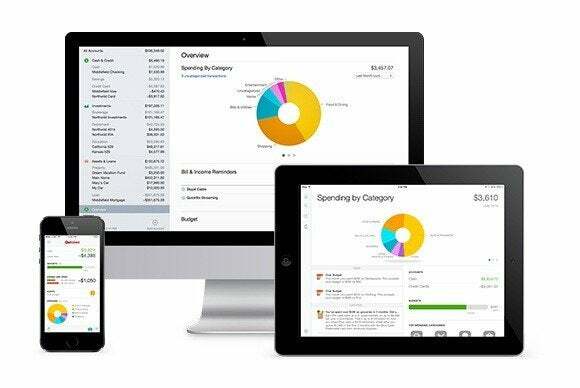 Intuit on Thursday announced the release of Quicken 2015 for Mac, the latest update to the long-running app for tracking your personal finances. Highlights of the new version are a simplified interface designed ground-up for the Mac and new features related to keeping track of investment portfolios. The latter allows for users to create Schedule D tax reports for capital gains, making things easy when April 15 rolls around. Lest you think that finances haven’t yet entered the 21st century, Intuit is also offering a free mobile app for iOS and Android that works with Quicken for Mac, allowing you to photograph and keep track of your receipts while you’re on the go. You can also use the mobile app to keep tabs on your finances, check account balances, view budgets, see transactions, and more. Quicken for Mac 2015 supports more than 14,500 banks, credit cards, and loan and investment accounts, presenting them all in a unified interface that lets you get a single top-down view of your finances. And, if you’re a user of Quicken Essentials for Mac, Quicken Mac 2007, or Quicken 2010 for Windows or later, you can easily import your data from any of those apps into Quicken for Mac 2015. Intuit earned some ire from its customers a couple years ago: The company was slow to adapt Quicken 2007 to Intel Macs, leading to problems when OS X Lion removed the Rosetta compatibility system that allowed PowerPC-based apps to run. The company eventually released a patch to update the software. The new version, which is available from Intuit, the Mac App Store, and Amazon is available for $75; it’ll go on sale at retail locations in October. Updated at 11:10 a.m. ET with more information on missing features and Intuit’s voting process.